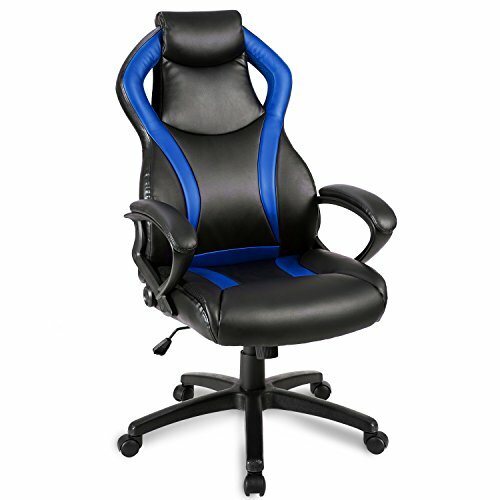 This new padded racing style chair from Merax is ideal for long gaming sessions. Built with comfort in mind, the Merax Gaming Chair features a padded leatherette seat, comfortable armrests, both a built-in neck and an upper-back pillow, and an adjustable height help you find the perfect angle for you and your space. Inspired by classic racing chairs, you'll find the detailed stitching and sharp, vivid stripes create an energetic atmosphere. Spend long hours in this chair and see the difference for yourself.